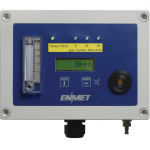 ENMET is a leading manufacturer of compressed airline monitoring and filtration systems for a wide variety of applications including monitoring and filtering supplied breathing air, monitoring hospital compressed air systems, and monitoring compressed air in manufacturing processes. Our compressed airline carbon monoxide CO monitors are designed to meet OSHA monitoring requirements for Grade D breathing air and NFPA 99 “Medical Air System Guidelines”. CO-Guard, our most popular respiratory airline CO monitor, is compact, easy to install and provides trouble-free long term operation. Our most advanced compressed airline monitors, MedAir 2200 and ProAir 2200, are UL and CSA certified and continuously and simultaneously monitor in real-time up to four points of detection including carbon monoxide CO, carbon dioxide CO2, oxygen, dew point, VOCs, trace hydrocarbons and an array of other hazardous gases that may be present in compressed air. 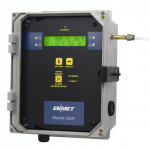 MedAir 2200 is an easy to install and operate compressed airline monitor, designed to meet OSHA monitoring requirements for Grade D breathing air and NFPA medical air systems guidelines. 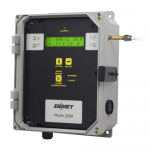 ProAir 2200 is an easy to install and operate compressed airline monitor that can continuously and simultaneously monitors up to four gases in real-time using internally mounted sensors. 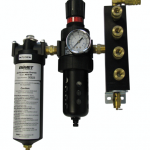 AFS-50 is a compact compressed breathing air filtration system with 4 outlets that removes oil, water, solid particles and odors from a compressed air system. AFS-100 is a compact compressed breathing air filtration system with 5 outlets and 100 CFM capacity that removes oil, water, solid particles and odors from a compressed air system.